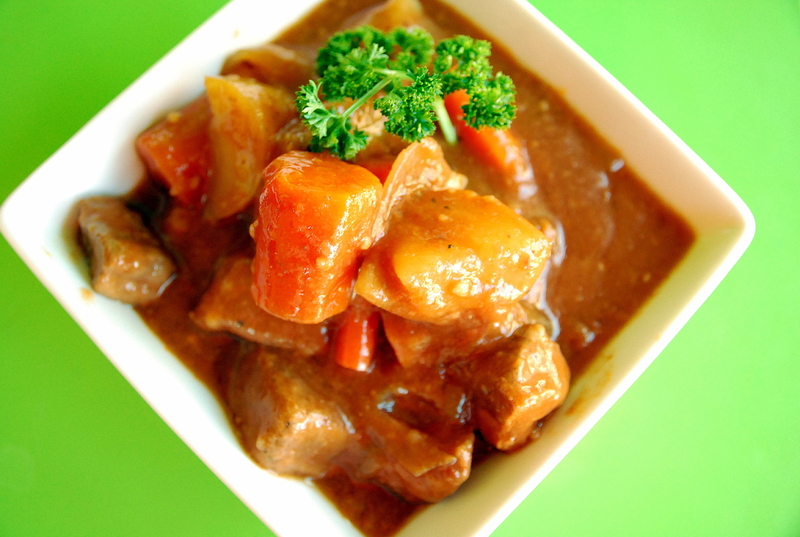 The result is a deliciously flavorful meat and veggie stew, that you really didn’t have to work for. Now that’s lucky. 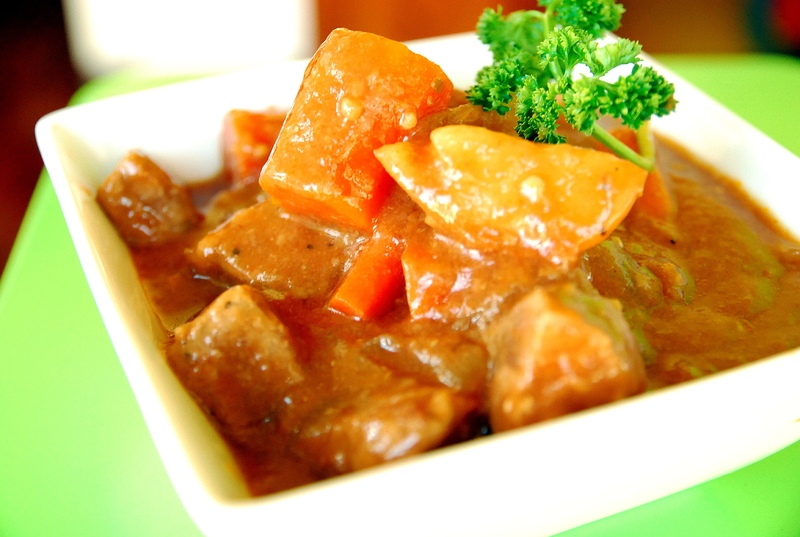 We prefer lots of veggies in our stew. Feel free to up the meat and lessen the veggies if your family prefers. Heat oil in a large frypan over medium-high heat. Place 1/2 cup flour in a shallow dish. Sprinkle beef with salt and pepper; dredge beef in flour, shaking off excess. Add beef to pan (do two batches if your pan isn't big enough); cook 3-4 minutes, or just until brown on all sides. Place remaining ingredients (chopped carrots, potatoes, onion, garlic, tomato paste, 1 cup Guinness, beef broth, bay leaf and oregano) in crock pot. Add meat to the top. Cook on low for 3-5 hours (my crock runs hot, so three hours was perfect). Stir once or twice. 1/2 hour before serving, whisk remaining 1/4 cup flour into the remaining Guinness until dissolved. Stir into stew until thickened. Cook an additional 30 minutes. Remove bay leaf and season with additional salt and pepper if needed. Serve warm garnished with chopped parsley if desired.